What a great establishment, well needed in the area. The food was exceptional and well worth the price. The staff and owners are very friendly and made us feel at home. We wil certainly be back and recommend you to all our friends well done and keep up the excellent work. Just had the best burger I have ever eaten! It was massive, lovely and juicy ,came with coleslaw and a big gherkin. Dessert was a kind of Mexican doughnut with warm chocolate sauce. Sinfully delicous. Was tempted by the range of bottled beers from America, Canada, Mexico, UK etc. In the end, I tried a lovely new lager called Nobles. Friend had the Mac & Cheese and then apple pie - both very tasty (I stole several bites) Was served on a funky table made from an old door. All in all, fantastic food and value in this sweet pub. I'll be back soon to try their other American dishes. 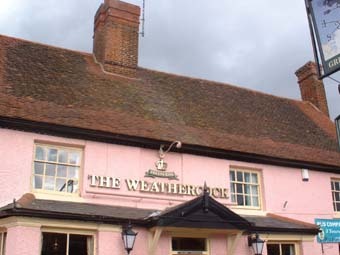 Lovely pub, great service although the food is overpriced and disappointing. Will go back for a drink someday but wont be eating there again. Great pub good beer with helpful and friendly staff, food however is a different story, significantly overpriced and disappointing to be honest. Am sure they will get it right with time. Will give it another try in a month or two. 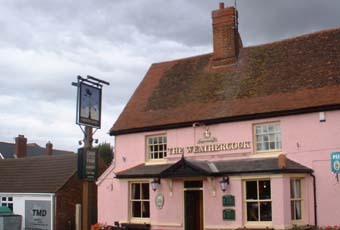 Recently re-opened after being closed for several weeks for a refurbishment, this is a traditional looking pub on the outskirts of Woburn Sands with plenty of picnic benches and umbrellas in a garden at the front of the pub as well as a small garden at the rear adjacent to the car park. Inside it’s got a fairly typical interior that has been renovated in a “traditional” style, so a few “old” oak posts and beams dotted around and a smattering of exposed brickwork, along with a display cases containing a number of antique items such as a typewriter and a sewing machine. The flooring is predominantly dark laminate with a few rugs as well. There is a small bar to the left which had a plasma on the wall displaying a sports channel and a fireplace below it. The paintwork was predominantly the usual shade of gastro-pub khaki green with contrasting maroon and wood panelling elsewhere. The main bar area was a reasonable size and also had a fire-place to the one side, although I suspect this may well have been decorative rather than functional. A small snug at the rear had a couple of large posters on the wall and a brick fireplace with a wood burning stove. The menu had something of an American theme so offered dishes such as Barbeque Ribs, Southern Fried Steak, Chilli Chilli Bang Bang and even an Alligator Burger on the specials board and these were mostly priced in the £10 - £15 price range. Continuing the American theme, the menu also said that they “proudly brew” Starbucks coffee which didn’t necessarily strike me as something positive, but I suppose it make a change from a number of pubs that I’ve seen recently that are proudly brewing Costa coffee. My Teriyaki Pacific Salmon on a bed of American Wild Rice was pleasant enough, although too salty for my taste. At £12.95 I thought it was over-priced by about a fiver. Beers on tap were rather uninspiring being entirely from the Greene King stable with their IPA, Abbott Ale and Old Speckled Hen. On the plus side they had Thatcher’s Gold cider which makes a very pleasant change from the rubbish you generally get in GK pubs. Somewhat unusually they only take cash payments below £50. I’ve seen £5 or £10 limits elsewhere, but never anything like that. There is however a free cash machine on site.